We occasionally have cars and trailers for sale, please let us know if you are on the lookout for something in particular. This 310R Caterham has had a refreshed gearbox May 2018, new catalytic converter August 2018, new steering rack and all panels are dent free. This car has been maintained by UPE Motorsport to the highest standard with no expense spared. New De-Dion tube, A-frame and radiator fitted October 2018. So if you are looking for a Caterham racer or conversion back to road spec at an amazing price, here it is. Car will come with matching Apollo wheels. Offered with a free UPE Motorsport geometry set up specific to the new owner and track shake down. Bought new to compete in the 2016 Caterham Academy, this car competed in only 4 races in total. Just the 2 sprints and 2 of the 5 fifteen minute races were completed in the Academy. Roadsport was completely missed in 2017 with the car being upgraded to 270R specification. It then competed at Snetterton and Brands Indy for the 2018 270R Championship before the owner decided to sell this great car. So there you have it, a 270R race car with just 150 minutes of competitive racing under its belt. So if you are looking for a Caterham racer or conversion back to road spec we think you would be hard pushed to find a better example. 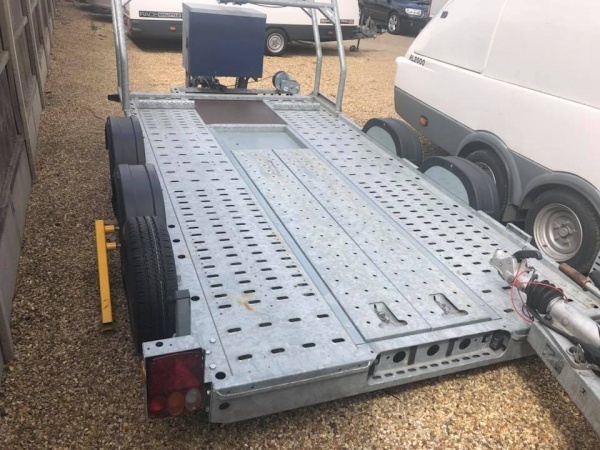 This Trailer was made and purchased new in 2015 for £7,000. 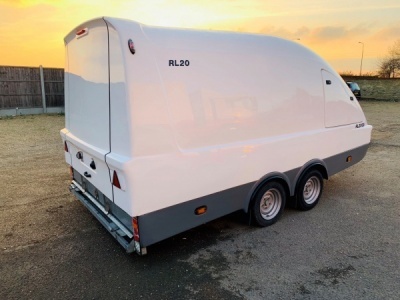 The trailer is suitable for smaller vehicles which are loaded via two pull out ramps. 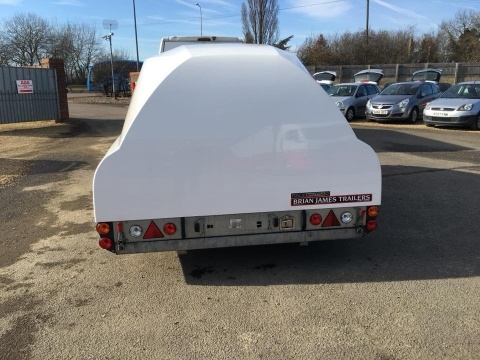 Fitted with gas struts for easy opening & closing of trailer. The maximum load limit is 1700kg and has a gross load of 2600kg (load and vehicle carried). For Sale we have this late 2015 270R race car. Bought new to compete in the 2016 Caterham Academy, this car completed the 2 sprints and 5 races. Then upgraded for the 2017 Roadsport Championship, only 5 of the 7 rounds were entered. It was then upgraded to 270R specification and has only competed in the first round of the 2018 270R Championship. The owner has made the tough decision to sell due to time restraints. Shown in the images with windscreen but will come with the aero screen as per race regulations. This 270R did minimal testing due to the aforementioned time constraints and has raced for just 17 races since new. 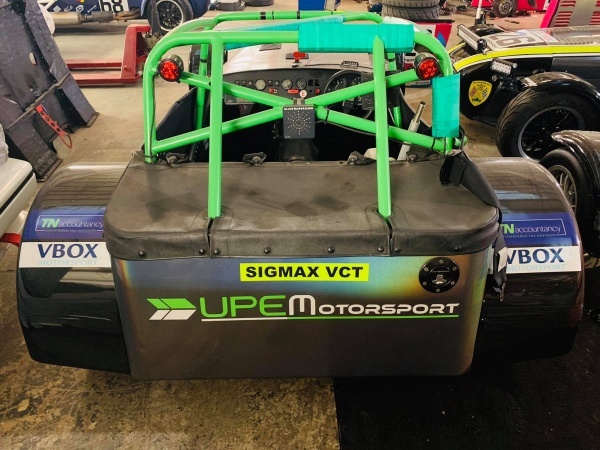 The car was maintained with McMillan Motorsport for its first 2 years before coming to UPE Motorsport, and as such has wanted for nothing. It has never required any chassis repairs (quite rare for a race car). This car has typical racing scars but is in fantastic mechanical condition. Immaculate condition with all lights and items fully working. Private use and only used for a small number of races. Would suit a Caterham or Radical SR3 / SR8 (with wing removed) sized car.